← Monday Question – What Is Your Favorite Tropical Perfume? 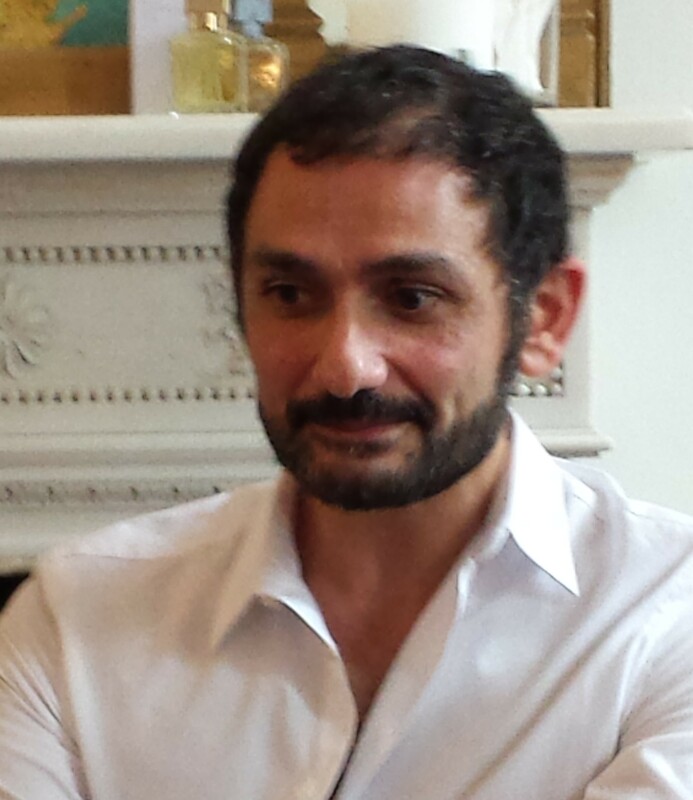 I was very curious to witness what perfumer Francis Kurkdjian was like in person, particularly because of how outspoken he has been in the past. He has little time for perfume criticism, professed to hate the way perfumistas “want everyone to like the same thing” and accused Jean-Claude Ellena of making perfumes that all smell the same (see interviews with Persolaise). Lila Das Gupta led proceedings at this highly anticipated and sold-out event. As each perfume was discussed, paper strips sprayed with the fragrance were distributed. The following is an approximation of how the evening unfolded. Lila: What was your first olfactory memory? 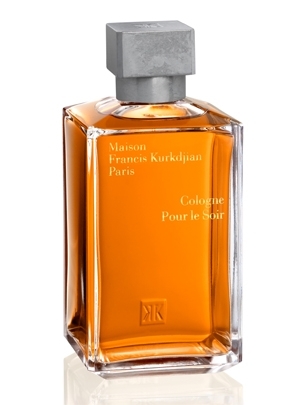 Francis Kurkdjian: Like most people, it was the smell of my mother’s scent. Lila: When were you first aware of perfume? Francis: Probably at the age of 14. I’ve never been drawn to perfume. I’ve never been interested in collecting. I never collected perfume samples. I like the story. Perfume is a name, a bottle, not just a scent. The whole thing. Shalimar is Shalimar. The Mona Lisa is The Mona Lisa. You can’t detach the story from the perfume. I got into perfume because I wanted to be a fashion designer, a couturier. But I had no skill for drawing. I saw perfume as a way to be close to where things were happening, to be close to the designer. It was a shock to learn that Yves Saint Laurent did not work on his perfumes. Notes: Mint, lavender, bergamot, cinnamon, cumin, orange flower, vanilla, tonka bean, cedarwood and sandalwood. At 24 I created Le Male. I was 25 when it was released. I didn’t see Jean Paul Gaultier for the whole 8 months of the process. I was away from everything. It was such a disappointment. It was the beginning of the end, or the end of the beginning, I’m not sure. Lila: What was it like to be a young perfumer? Francis: You have to have the right perfume for the right moment. I’m sure Jean Paul Gaultier would find Classique too classic now. Its time has passed. Lila: Why start your own perfume house? It’s a difficult thing to do. Francis: Because of Le Male, I found out that I would never work with Jean Paul Gaultier or anyone else. Maybe just half an hour to talk about the perfume. They don’t decide anything. I was sad about not being part of a team. You’re The Nose, you’re not The Brain. You’re not allowed to think. You can’t give your opinion on the tacky bottle or the cheesy ad campaign. I wanted to touch it, be part of it. I knew I wouldn’t be satisfied. Otherwise I would have gone insane. I’m not driven by the small – of course I am, I create it – but I have code names for the perfumes I’m working on. For Le Male it was “New Beat”. At that time Jean Paul Gaultier was doing TV (Eurotrash) and he released a house music soundtrack. I like advertising, the name – the perfume comes at the end. 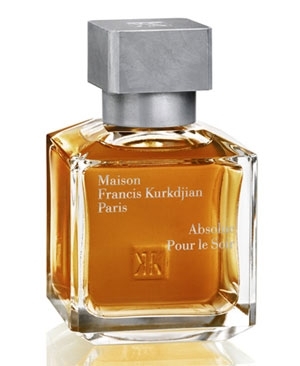 So I didn’t start Maison Francis Kurkdjian because I wanted to, but because I felt I had to. I managed to get into perfume school. If not, I might have become a chef. Francis: No, not because it’s sensory. I like to host people at home. That comes from my parents. I can be distant or aloof but cooking is about sharing. You share and you spend time with your family or friends. You do it with your hands. It’s what I miss with perfume. It’s not crafty. I love working on the box and the monogram. Intelligence with hands is the most important thing you can do. Like playing the piano or doing embroidery, being a couturier. In the lab working on perfume, the only thing I handle is a pencil. Lila: You don’t mix the perfume? Francis: I have an assistant for that. Otherwise it would get on your hands. Lila: Tell us what you were trying to capture with this perfume? Francis: (Thinking) What was I trying to capture? Lila: Well, I’ll tell you what I think. It’s tender, beautiful, classic but not old-fashioned. Good quality. Francis: My partner (Marc Chaya) is Lebanese. We are like Yves Saint Laurent and Pierre Bergé but we don’t sleep together. That’s how I describe it to people. He works on everything except the scent. We took a trip together to Lebanon. APOM is a tribute to Beirut. Perfume is a trace of you that you give to people. It isn’t a part of me, it is a part of the wearer. I’m doing another version soon. The top is not right. It won’t be completely different though. I’m not like Dior who get rid of everything. Lila: It’s like saying “you’re married to someone else now”. Francis: It’s criminal. I’m against limited editions also. I don’t like it when only 200 flacons are released. When you release a perfume you try to create a dialogue with the wearer. So it’s criminal to say “That’s it!” I think it’s like having a love affair and then they disappear. You wouldn’t enjoy that unless maybe you were a masochist. Right now I am working on a product that will only be 50 pieces a year because of the material. Now with the availability of the internet, I believe you should be committed to your customer to supply it. The only problem is if the materials are restricted. Lila: You do detergent, fabric softener, candles, bracelets. Did you map out that strategy? Francis: No. What bloggers like, won’t sell. I’m joking…but not much! I go online and it makes me laugh. There’s no marketing strategy. I don’t map it out. I just do it because it’s what I feel. Lila: Tell us about this. It’s your best selling scent. Francis: It’s the smell of a laundry product. So to make it I first needed an unscented laundry wash base. I had my worst meeting ever with Procter and Gamble in Belgium. I was convinced they’d love the idea and might even want to fund it! They just didn’t get it. They looked at me like “What the hell is he talking about?” So I had to find someone in Paris to produce it for me. I am very practical. I don’t map things out. I do a job I love. I am lucky. Most people don’t love their jobs. For me it is the luxury of my life. But a good idea is a practical idea. That’s modern life. You can’t have clothes that take two hours to put on. 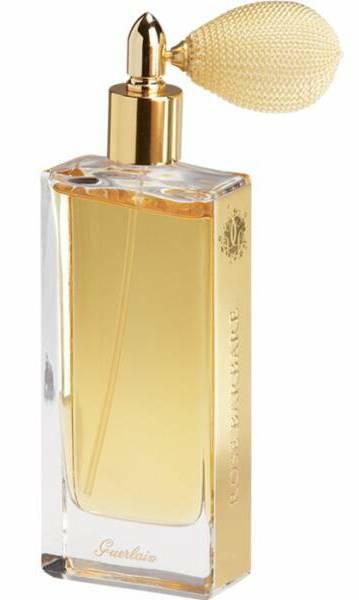 Lila: Francis made this perfume in conjunction with Versailles and “A Scented Palace: The Secret History of Maire Antoinette’s Perfumer” by Elisabeth De Feydeau. I couldn’t put this book down! Francis: This perfume started as a joke. You know the way people buy a perfume to get a free umbrella? So I thought, give perfume away with a book. I was interested in the original perfume formula and how the perfume was made. There’s no point in formulas being secret. It’s how you come to the formula that counts. The perfume based on the original formula is quite a mixture. It was bad and I was embarrassed, so I twisted the formula. I told Versailles, “It’s a recreation, not a renovation”. I think the 18th century was the most refined in terms of craft, music etc, so I didn’t want people to think they had bad taste. I made subtle changes, added more bergamot. It’s not very pleasant but it’s understandable. Francis: I like this a lot. I have no taboo with body smells because I was a ballet dancer from the age of 4 to 24. It breaks down barriers because it is so intimate. I danced almost naked in front of 800 people in New York! It was designed for night use. You come home, shower and put it on and it lasts for 2 or 3 hours. It’s very chic to wear a perfume inside. My father and grandfather were fur dealers. “Kurk” means fur in Persian. I remember being in the car on the way to church as a child and the smell of my mother’s fur coat with the perfume it held. Cologne Pour le Soir is a soft, fur, lipstick-y something. Absolue Pour le Soir is when you go home and someone calls and says “let’s go out and party!” It’s leather pants, sweat, dirtiness. It’s the fantasy of a crazy night out. There’s a sweaty thing I love. Lila: What does everyone here think of it? There’s a general positive reaction from around the room. Francis: It sells the least! This is why I love perfumistas. If they love it, it won’t sell. Lila: It makes me think of Omar Sharif. Francis: My mother loved Lawrence of Arabia types. It is a fantasy about crossing the desert on a camel. In reality, I’d last two hours. Running water is a good invention. It’s sandy, peppery, like being in a sandstorm. Lila: What shall we try next? Elie Saab? Francis: No really, I love everything I make! Audience Member: Let’s try Rose Barbare. Notes: Rose, aldehydes, spice and a honey chypre base. Francis: Yes, it’s nice. The brief at Quest was “What should Guerlain smell like?” My mother wore Mitsouko. To me that is Guerlain. I don’t really like Shalimar. To me it’s Mitsouko. So I decided to do a new chypre. I used lots of rose oil and rose absolute. I didn’t expect them to like it because it was a creative work. We just had to get the price down. I like it. It is very classic, or rather, timeless. Lila: Finally, I have a little treat for you. I managed to get some Papier d’Armenie. Francis: The same company has been making these since 1885. It is their only product. It’s everywhere in France. People burn it to purify the air. I have Armenian grandparents, so for the “Year of Armenia in France” I did a limited edition with a new scent and a new cover design based on the Armenian alphabet. Like an illuminated manuscript. The “P” is in the shape of a parrot. Lila: Would anyone like to ask a question? Audience member: Which perfumes by other designers do you wear? Francis: I stopped wearing perfume at perfume school. As a kid I used to wear Obsession, Pour Monsieur, Eau Sauvage, Vetiver, but you need to smell at perfume school. Since then I only wear trials. I don’t have any pleasure in wearing perfume. If I was not in the business I might wear… maybe Donna Karan Unleaded. It’s a bit like Egoiste, which I loved. At the end of the evening everyone was given 3 large spray samples from Maison Francis Kurkdjian (Amyris Femme, Amyris Homme and OUD) which was met with much applause, as you can imagine. What do you make of Francis Kurkdjian? Are you a fan of any of his perfumes? This entry was posted in By Tara, Interview, Maison Francis Kurkdjian and tagged By Tara, Fragrance, Francis Kurkdjian, Interview, Jean Paul Gaultier, Jean-Claude Ellena, Lila das Gupta, London, Maison Francis Kurkdjian, Perfume, Perfume Lovers London, Yves Saint Laurent. Bookmark the permalink. I like both Apom and Aqua. I tried them at Osswald. He seems really approachable too. Sometimes I’ll read interviews with perfumers and they’ll be jargony or too high-art, but his answers are down-to-earth! APOM Femme is probably the one of his I like the most but I don’t know the line well and need to get acquainted with Amyris. He has expressed a dislike for those who drop chemical names so he definitely steers away from jargon. What a handful but great to read your report. Thank you very much for the write-up, Tara! I am not a huge fan of Mr K, no doubt owing to the fact that he at best makes fun of Perfumistas, and at worst disparages them. Not an enchanting trait. For the most part his perfumes (especially of his own line) leave me cold, but I really love his creations for MDCI and Guerlain. I can agree with this. To be condescending to ppl that actually helping building a hype is not a charming trait. But I do like his other non-romanticising parts. Yes, there’s a thin line between honesty and a lack of respect. I think he just doesn’t get perfumistas. Perfume was a third choice for him after ballet and being a couturier. He was never as passionate about it as we are. 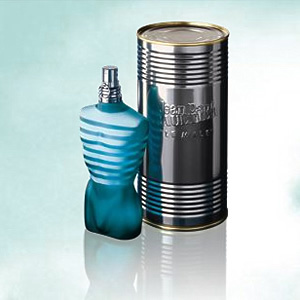 The perfumes he did for MDCI had slipped my mind. They are defintely among his best. I wasn’t there to get the nuances of tone, but it made sense to me when he said “If perfumistas love it, then it won’t sell.” If we represented the taste of the general public, then we would be yapping on about the latest Lancôme and things like that. It may be true that if we love something, the mass market won’t be able to sell it and the celebuscent public won’t like it. After all, every single scent that I truly love gets discontinued or reformulated! Clearly, if a perfume house worked to my tastes, they would go broke. True, our tastes are often away from the mainstream. Though his line is not exactly in the mainstream either. I do think his previous interviews colour our interpretation somewhat, rightly or wrongly. That’s too bad about your favourite fragrances getting reformulated or disontinued. It’s good that he understands how horrible it is when a beloved fragrance gets reformulated out of all recognition. Good point. For a niche perfumer, perfumistas should be considered friends. I don’t know anything about his prior interviews or about his perfumes, so probably shouldn’t have said anything in the first place. Not at all! Everyone is welcome to voice their opinion no matter what. I very much hope you’ll continue to do so. 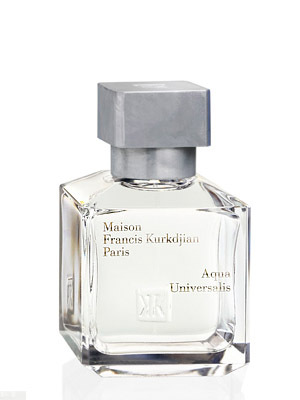 Don’t underestimate the number of people who aren’t cultured perfumistas who have access to and patronize Maison Francis Kurkdjian! There’s a reason Aqua Universalis is his line’s bestseller. Yes, many perfumistas would consider AU to be one of the better aquatic fragrances out there, but perfumistas tend to admire his other perfumes more strongly! Yes, I can imagine Aqua Universalis having broad appeal. I’m very much a fan. I do appreciate that non-nostalgic and non-sentimental approach Kurkdjian seem to have. That he is a businessman comes across quite clearly and that honesty is something I can appreciate; the romanticised picture of idealistic perfumer is a tired and boring one. I think not being in love with perfume has certainly enabled him to approach it from a non-sentimental viewpoint. Yes! Very much agree with you, Martin. The only scent I liked from MFK was Amyris Homme, especially its top & middle notes. You certainly have a passion for cooking in common, if nothing else! I’ll bear in mind your fondness for Amyris Homme when I get round to testing it out. Ugh, count me out of the fan club. I know there’s a definite business side to it but this guy just rubs me the wrong way. Ha! I totally get that, poodle. Another terrific write up, Tara – you totally capture his nonchalant, jerky, disaffected, nose-thumbing style. Well, I have never met the bloke, but this is exactly how I would imagine he’d come across. 😉 And only the other day I was saying to someone that even if you don’t like a person *in person*, you can be fascinated by – and get a real kick out of – hearing what they have to say, and so it was with this interview. I relished every controversial nugget! And I loved the phrase ‘a soft, fur, lipstick-y something’, though that is not a scent I get on with. 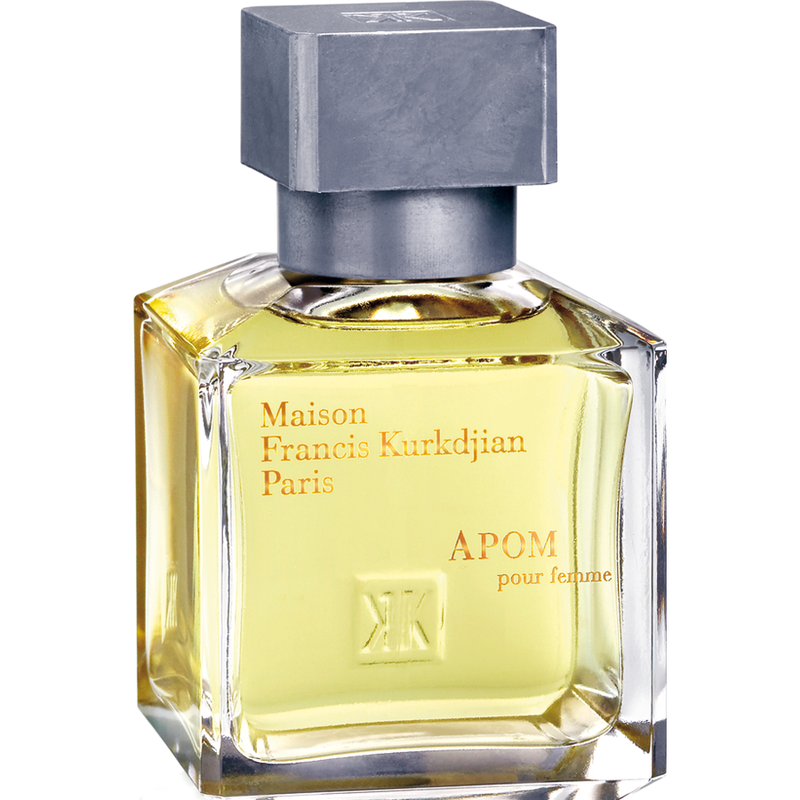 APOM pour Femme is my favourite, and I also like Rose Barbare. And it turns out that me and Monsieur Kurkdjian have a surprise *something* in common – both our grandfathers were fur dealers! Which in the 1920s or so (when my grandad was plying his trade) wasn’t such a controversial profession! Thanks, V. I’m glad you found it entertaining! You sum up his style very well. What a wonderful write-up! i love reading articles about perfumers, their scents and their inspiration. I love reading about perfumers too. Though I’m not familiar with all of FKs creations, I do adore Lumiere Noire Pour Femme. I would love to try Rose Barbare, as I’m just getting into perfumes with rose – a note I’ve always avoided for numerous reasons. I do agree however, that his attitude toward us perfumistas is unfair – after all, we give him our business! I wonder if his attitude stems from feeling a bit of pressure from a well-voiced and influential online community. If we don’t like something, the blogosphere is all abuzz! You could well be right. No one likes criticism and the bigger the ego, the more it’s going to hurt! Like you, Annina, I was put off by rose perfumes in the early days because they had old-fashioned connotations for me, but once I found out about the many different types of roses you can get – dark, gourmand etc – there’s been no stopping me. It’s so odd that he thinks perfumistas want everyone to like the same thing. Not sure I’d call myself a “perfumista” – I’m more of an amateur fan of perfume, but I certainly wouldn’t want everyone to like the same thing. It’s not particularly interesting if that were true. 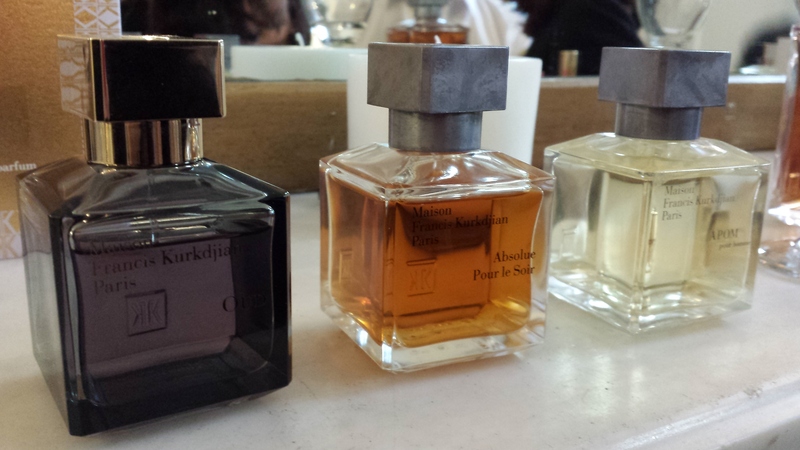 Enjoying a number of diverse perfumes is what makes this fun! Yep, we’d all be put away in no time! Thanks for the report, Tara! As a person, he’s not my cup of tea, because manners count for a lot with me (and they clearly don’t for him). That said, I love Absolue Pour le Soir so much that it makes me really happy that this man went into perfumery. APlS is one of the few perfumes that I would ever purchase a back-up bottle for – it’s that uniquely beautiful, in my opinion. You’re absolutely right, “manners maketh the man”. I love that you are a fan of Absolue Pour Le Soir. I’m glad he went into perfumery too because he certainly has talent and if APLS makes you that happy, so much the better. Now get those leather pants on and party! Great write-up again, Tara:-) I was wondering, I mean the fact that he takes time to speak at these meeting must mean that he’s not completely serious about his view on parfumistas? Also, if he’s such a businessman, he will know that even if the perfumes which fall into parfumista-love-territory are often the least sold, these somewhat more challenging perfumes, that hopefully the perfumers like to create, would perhaps not be sold at all, if not for ‘us’? Perhaps, without its parfumista fan base AplS would long have been discontinued (even if he doesn’t like doing that). Anyway, I can’t say I’m the biggest FK fan perfume-wise myself, but I do LOVE promesse a l’aube, I agree his MDCI output is wonderful. Yes, I’d be surprised if the bulk of the purchasers of Absolue Pour le Soir were not perfumistas. You can’t get much further from the mainstream than that. He should thank people like Suzanne! I do think that he has more disdain for bloggers than perfumistas as a whole. I get the distinct impression he’s been burnt in the past. I’m not sure he finds it as hilarious as he professes to. Promesse a l’aube is very special and I’m glad you’re a fan of the soap bubbles! I didn’t realize FK did Promesse a l’aube, I really like that perfume! Considered a fb I’d it wasn’t so cost-prohibitive. I know, the prices of MDCI are prohibitive which is a shame because a number of them are really great. I hear they have a good sample programme though. But those *are* perfumes where you can smell and feel the quality. I definitely feel they are worth it. And wonderful service if you order directly from M. Claude Marchal on the MDCI webpage. Terrific write-up, Tara! He come across as very straight-forward with a very clear point of view. Actually, his responses remind me of a lot of chefs’ answers when they have these kinds of question and answer sessions. Yes, that’s interesting. Now you mention it, he is rather like some of our more outspoken chefs. Funny that he could have easily become one. 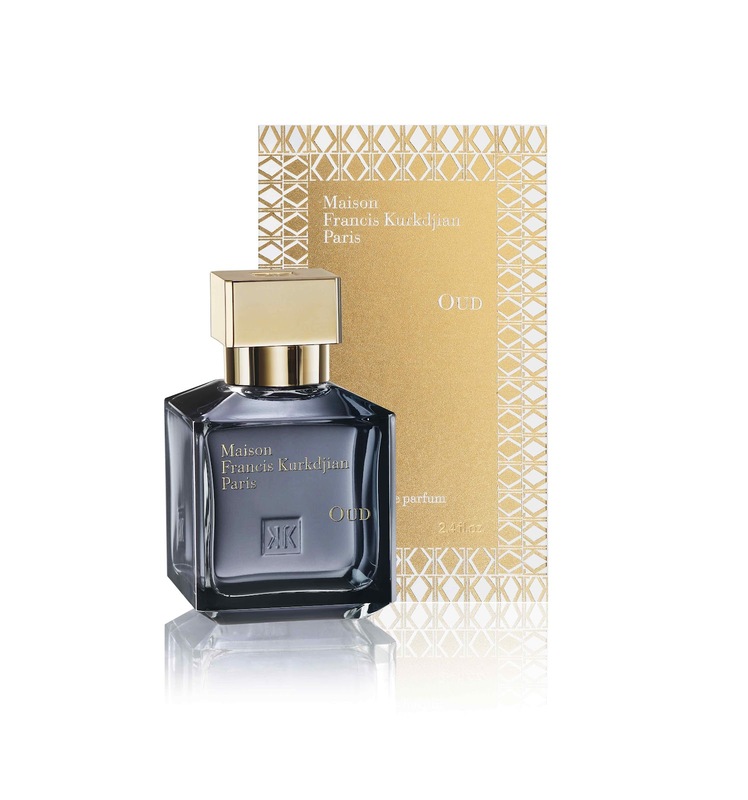 F.K is clearly an artist, I highly respect his approach and like many of his perfumes. No idea why he lumps parfumistas together like that, I find it rather funny. I know, it doesn’t make a lot of sense to view us as if we’re all the same. Oh, Francis. That is all I have to say. Well, he’s clear and he seems to have people (at least us) talking about him. While I always try to separate the artist from the person, I prefer my money to go to people who are as warm and gracious as they are talented. I know how you feel, Caro. I’m sure my money is going to plenty of unpleasant people I don’t know about, but if I know those who are impolite to myself or my friends, I reserve the right to spend my money elsewhere. I, for one, wouldn’t have been “talking” about him if it weren’t for the report written by one of my friends and published on theblog of the other friend. I dislike him as a person (from interviews) and most of his perfumes do not work for me. Thanks for commenting Undina, despite two very good reasons not to. Happily there are plenty of other lovely perfumes out there made by even more lovely people. Just look at B’s People In Perfumeland series! Fab write-up Tara! You captured the essence of the evening perfectly! I think Francis gets a bit of an unfair rep in the perfume world. He doesn’t come across quite as anti-blogger/perfumista as he may seem and I think he makes a fair point that the things perfume lovers want or need from perfumes aren’t necessarily going to make for financial successes – after all we look for high art in most of the things we smell. This is shown by the fact that the incredibly challenging Absolue Pour le Soir is the brand’s slowest seller whereas the easy-to-love Aqua Universalis is the best. Personally I find his candour and approach refreshing in a world where we are sold so much BS (for want of a better term) with the perfumes we love/buy. Thanks, I’m glad you think I managed to capture the evening. I was all ready to give FK the benefit of the doubt until Lila pointed me out as a blogger and he subsequently blanked me . I spoke to him after and he positively scowled at me, turned and walked in the other direction! I thought I might have imagined it until we were formally introduced and had our pic taken – he looks totally glum in the photo with me, compared to the one with you where he’s grinning from ear to ear. No doubt he’s been burnt by bloggers in the past but it’s no excuse for rudeness to people you don’t know a thing about. He saves his smiles for people like your good self who he knows for a fact like his stuff. It’s pretty immature but there you go. You’re right though, it’s a fair point that perfumistas generally have different tastes to the masses and he, like everyone else, wants to sell which is understandable. Maybe he was in a bad mood that evening – he could have been going through relationship problems with his boyfriend, his cat might have recently died, etc. Fantastic write up and green with envy at those who were able to attend. I love what Vanessa said and found myself laughing. I don’t have an opinion one way or another on the man but as a lover of perfume I love the MFK line. I have tried most of his offerings and have full bottles of Amyris Pour Femme, Oud, & Lumiere Noire Pour Femme and am eyeing a few more. I also have a decant of Rose Barbare but am not a fan. His Amaryis Pour Homme is very beautiful as well. Thank you for posting this even though he comes across as a bit controversial. I’m glad you enjoyed the write-up. Thanks for the comment. It was an enlightening evening! I really hate, hate this Gaultier stuff, it makes me sick and I immediately get an headache from it… But i Like this guy! He’s really pragmatic. I have been looking around for a review of AMYRA; it’s not his bestseller it seems. I like it, I like it a lot (despite the price tag…) and befor I buy stuff, I usually read a bit more on brand and people. So hey, I am a blogger, I like it – it does sell 😉 at least to me! The perfume is called Amyris, I’m sure there are a few reviews out there. Amyris – yes, I finally bought a full bottle and enjoy it. I’m glad to hear that! Enjoy your new perfume, Andreea!